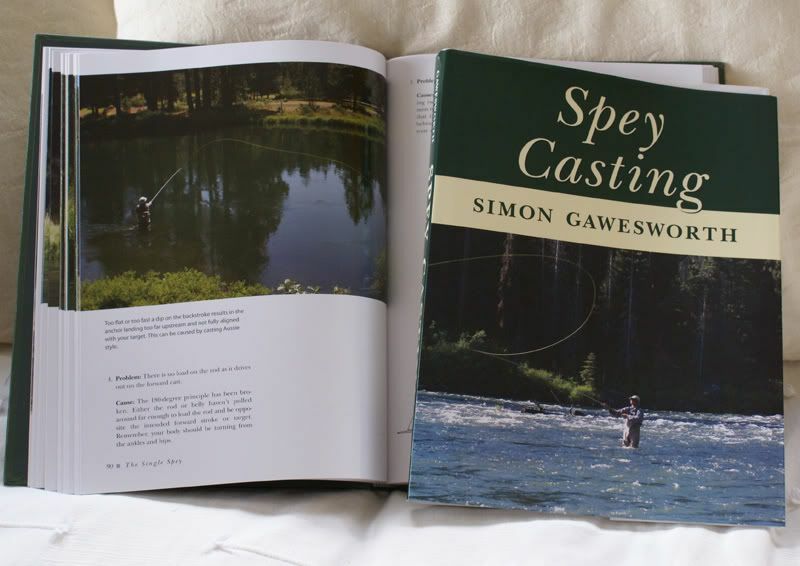 Just received 'Spey Casting' by SG, 2nd Edn 2007 - wonderful book, very good pics, and explanations for even correcting casting errors. As you have now refined your faults! , yet realising what you have done, the next stage is to understand how to correct those faults. More valuable than a book, however, is 1/2 day with a good instructor, IMHO. With my season now closed I dug out Simon Gawesworth's book and find it still to be a classic reference. For those interested Simon continues to be at the forefront of new developments in line technology with RIO lines.